Summer is here and so is the time for a well-deserved getaway. Along with all the other trip essentials, don't forget to pack this amazing lantern in your bag. It lights up the entire surrounding when it gets dark. You can even use it when you are not going on a getaway. What if the power goes off! 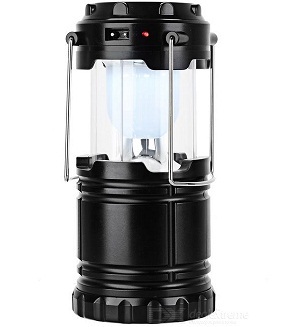 The light output of this lantern is just brilliant, thanks to the 6W LED assembly. 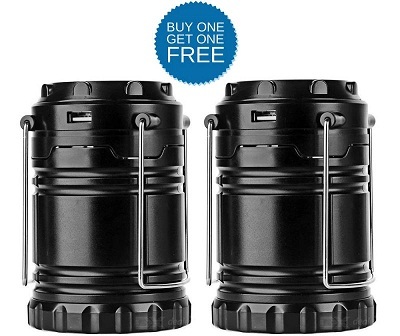 It can light up your entire tent or a small room. During daytime, this lantern charges itself without any external support, thanks to the integrated solar panels. When the solar energy starts to drain out, you can use AAA batteries to keep this lantern running. When you are indoors, you can plug it directly via a power source. 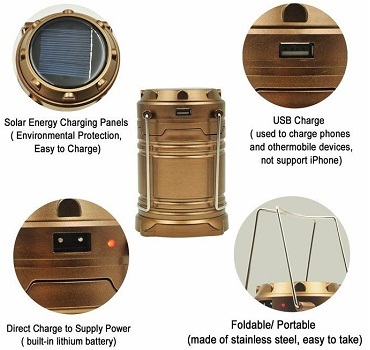 This lantern stores its energy and can be used a mobile charger as well. 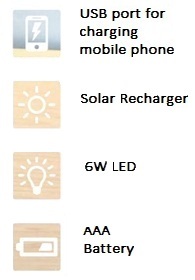 It can charge most mobile phones except iPhones. 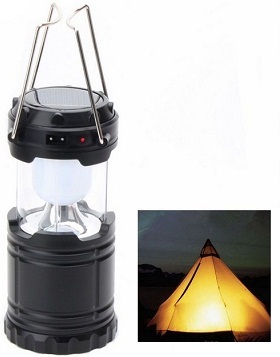 This lantern is made of sturdy materials which make it ideal for trips and adventure getaways. Thanks to its smart design, this lantern can be placed in a hanging position as well.